Eating disorders comprise a range of physical, psychological and behavioural features that often have an impact on social functioning and can invade most areas of the sufferer’s life. Although eating and weight disorders are common in children and adolescents, there is a scarcity of practical guidance on treatment methods for eating disorders in young people. 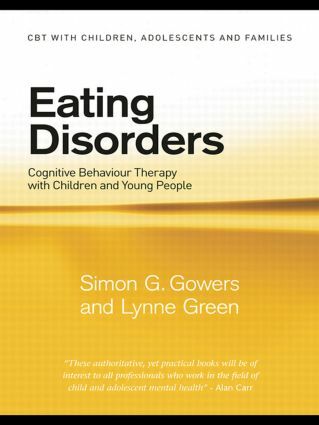 This practical text will be essential reading for mental health professionals, paediatric teams and those in primary care working with children and adolescents with eating disorders. It will benefit those working with both sufferers themselves and families who have difficulty understanding the disorder.